Here’s a comparison of the two, and a general discussion about the relative benefits of the nutrients found in each. Both green tea and cocoa are some of the most biologically active foods you can feed your body, and in the big picture they’re more alike for their similarities than their differences. Along with turmeric,cinnamon, and oregano, cocoa and green tea are some of the most powerful substances you can get for cheap at the grocery store. The health benefits of green tea are primarily derived from a class of molecules called catechins. The primary one being epigallocatechin gallate (ECGC). The healthy stuff in cocoa comes from a combination of catechins and proanthocyanidins. The primary catechin in cocoa is epicatechin (EC). Overall green tea has a higher catechin content (30-40%) whereas cocoa has a higher overall polyphenol content (as high as 80%, typically about 15% when you buy it in the store). In general catechins are not as well understood as proanthocyanidins. It’s obviously true that they stop oxidizing reactions within the body and help boost metabolism, but the mechanism in the body isn’t entirely clear. ECGC is the more rare of the nutrients though. Epicatechin is found throughout the plant kingdom, whereas ECGC is mostly only found in teas. As far as the differences in health benefits that green tea has and cocoa doesn’t, the most remarkable are the observed “nootropic” effects that have been demonstrated with green tea but are less proven with chocolate. Ditto for thermogenesis. ECGC as a compound also exhibits more acute effects on cell growth than proanthocyanidins in general. In other words, green tea gives your base metabolism a perk that it doesn’t get from chocolate, and the observed improvements in memory, physical performance, and cognition that come from tea aren’t seen as much in cocoa. Cocoa seems to exhibit its health benefits through slightly different channels than green tea. While green tea increases the rate your body excretes fat and carbohydrates, cocoa blocks them from being absorbed in the first place by inhibiting the synthesis of various enzymes. Both promote healthy LDL/HDL cholesterol levels, but cocoa seems to do a little more to promote overall cardiovascular health. Cocoa tightly regulates a molecule called nitric oxide which is very important for circulatory health. Cocoa has a very strong track record for improving vasodilation throughout the body, and as far as I can tell a lot of this effect is unique to the proanthocyanidins found in cocoa that are not found in green tea. Green tea seems to protect cells by initiating a variety of chain reactions within cells that make other molecules more able to prevent oxidation. It changes the reactive state of the entire cell. Cocoa on the other hand seems to bind itself within various cell membranes (particularly in peroxisomes) that block cellular pollutants from getting in in the first place. In their raw states, cocoa is much more biologically active than green tea. In fact, it’s more biologically than practically anything. Unprocessed cocoa beans are 80-100% polyphenol content, whereas green tea about 30%. However, catechins are pretty resistant to processing and actually survive very well going from the field to the plate. They also get through your intestine unscathed. You absorb about 20-30% of the catechins from your food. Proanthocyanids are very fragile, and their content in different cocoa products can vary 10x, and can sometimes vary by that same amount depending on where they come from. For example, it was found that cocoa beans grown in costa rice typically have a catechin content about 8x greater than cocoa beans grown in jamaica. In the case of cocoa, a simple taste test is actually a very effective indicator of its health content. Polyphenols are naturally bitter and it’s all but impossible to remove the astringency of their taste without killing them altogether. So embrace a little sharp bitterness in your chocolate, it’ll mean you’re getting the good stuff that makes it such a wonderful food. 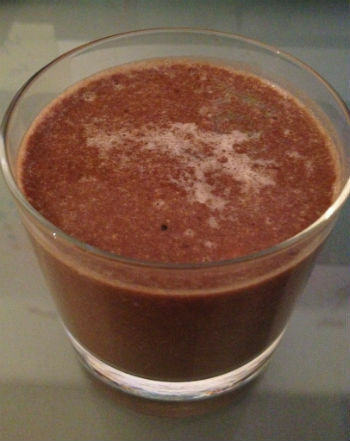 Buy plain cocoa powder and add stevia to sweeten it when adding cocoa to recipes. 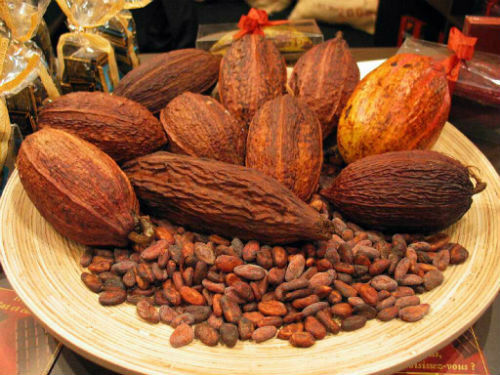 Due to the fragility of its nutrients, it can make sense to buy cocoa bean extracts instead of various cocoa products. This is less true of green tea. When using green tea, get green tea powder instead of tea bags. Green tea powder is pulverized tea leaves that dissolve in water when mixed. The taste is much stronger, and the nutritional impact much more potent. I get mine from nuts.com. A pound lasts me six months. Blend all ingredients thoroughly (maybe using a beater or food processor if you wish) and mix with 6-8 ounces of almond milk. This actually tastes pretty close to the crap you buy in stores, and has absolutely zero of the health defects. It does clump in ways that Nestle QuiK doesn’t though. That’s why adding the lecithin helps. It emulsifies the other ingredients and helps suspend them in liquids. .How Much Do You Need? The health benefits of catechins and proanthocyanidins begin to take effect when you get around 250-500mg a day. (You actually stop observing health benefits above this level, suggesting 500mg is about as much as your body can take). And here’s where the power of cocoa really shines through. You can get about 800-900 mg of polyphenols in a high quality dark chocolate bar (allowing for the fact that the proanthocyanidins will be very diluted). There’s not really a convenient alternative for that with green tea, unless you mix the concentrated powder with water. So in terms of overall usability and health benefit, I think cocoa gets the nod, even though they’re both very worthy competitors.